Secret Santa 2017 is live. Let the stalking and gifting commence! 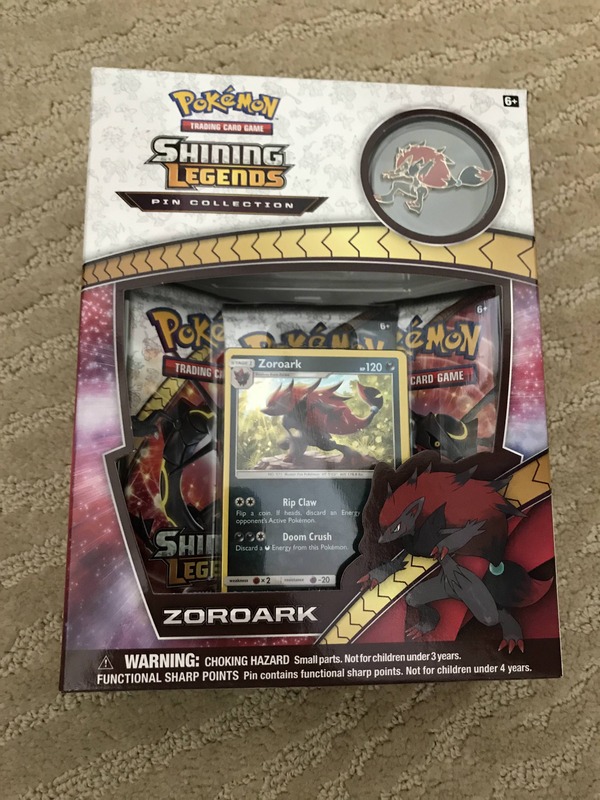 Thankyou to my Santa who bought my present super early but thanks to release dates being pushed back only got delivered this week! Two of my favourite things Pokemon and Pins! 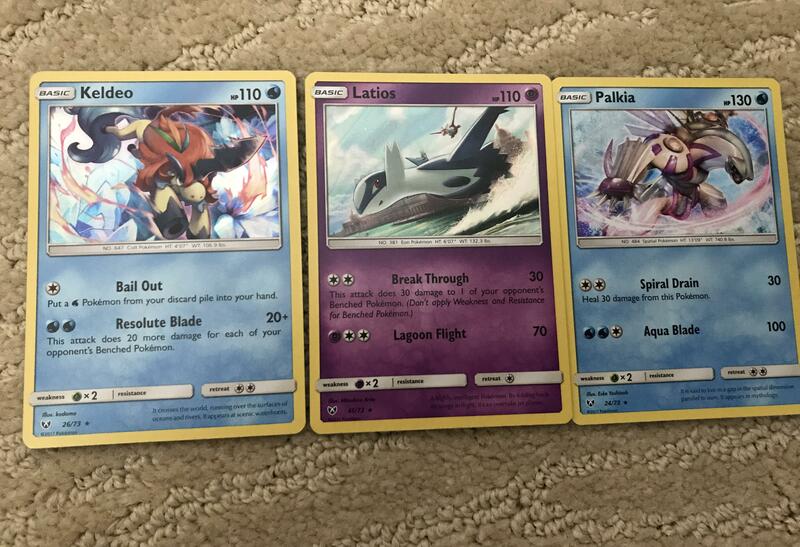 Even got some nice Holos! Thanks so much to @SkeleVader for my ballin' secret santa gift! 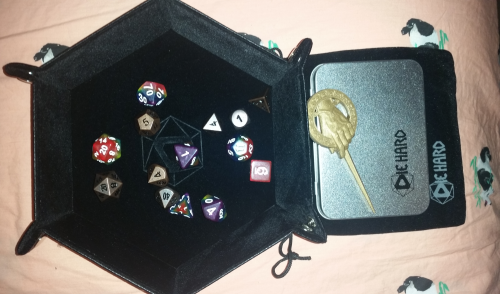 I can't wait to give these new bones a roll and on my new portable dice tray to boot! 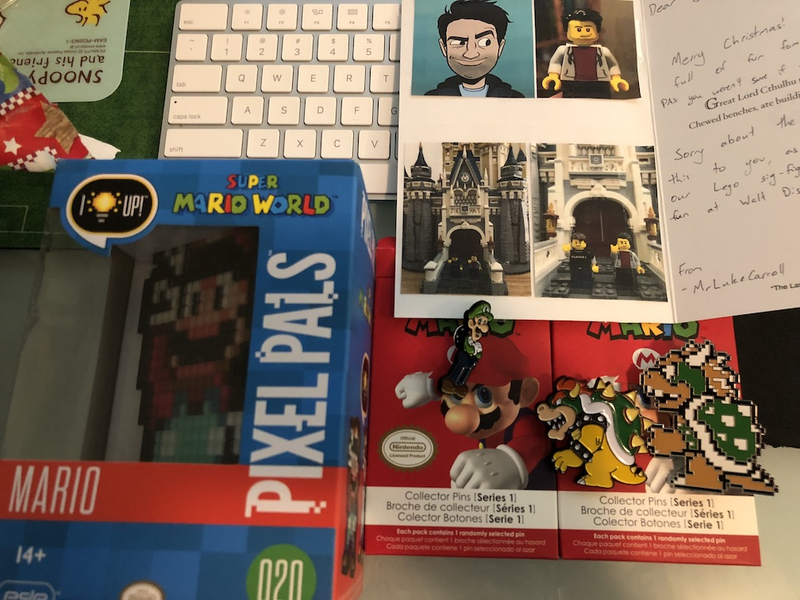 I received some cool Mario swag from @MrLukeCarroll, thanks dude Didn't pull the gold mario! The pixel pal is gonna make a nifty night light for my son. Letter shows he took lego minifigs of us for a trip to Disney World, one day I'll get my real life self there! Thanks very much, @CombatWombat79 ! 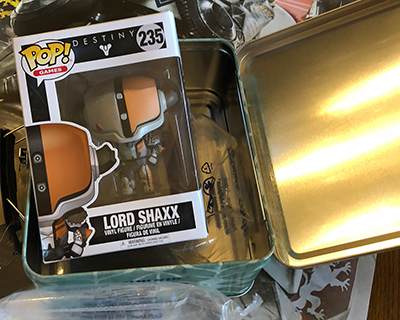 ...and speaking of loot boxes, what's this...? 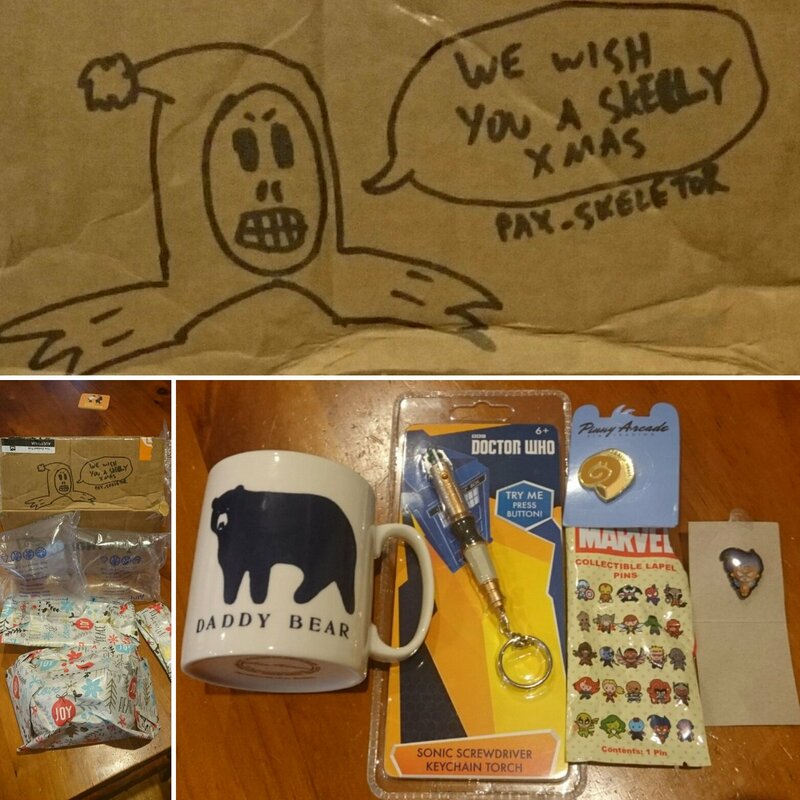 "Last night I got home late to an awesome Secret Santa package waiting from @luverly_5pam (Pax_Skeletor). Keyring was on within minutes of this photo, these pins are damn cool (tiny Spider Woman! ), but this mug... Man... I £¥€#|*G LOVE this mug! " Hey guys, sorry I haven't been around enough this year. The nasty cold snap my area began the year with destroyed my plumbing, including most of our heating system. The room the computer is in has just been too dang cold to be in for any length of time. I will be posting the late Santa list later tonight or tomorrow. 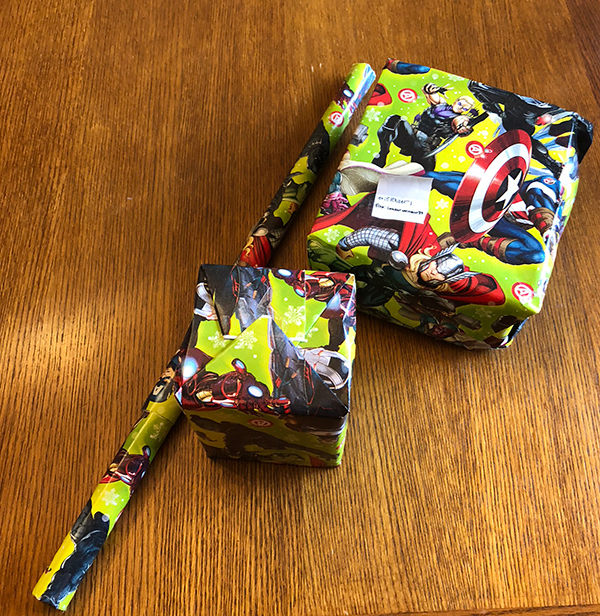 If you have your present and haven't posted please do so. If your present hasn't been sent or arrived yet please get in touch with me ASAP. If you sent me a message thru Slack already please remind me as most of my DMs have gotten wiped. If i'm missing anyone, please let me know ASAP to avoid Pureval's wrath! Much appreciated, I put it on Twitter and let @pureval know they were received. 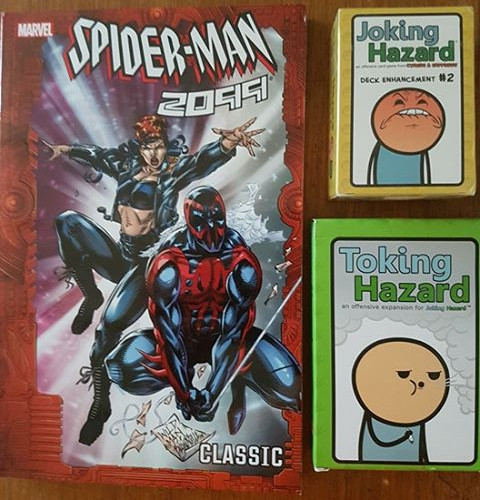 Not sure who there are from as there was no username or details on the Amazon box, but these were on my Pinny Pals Secret Santa Wishlist, and so I am gonna assume that's who it's from. 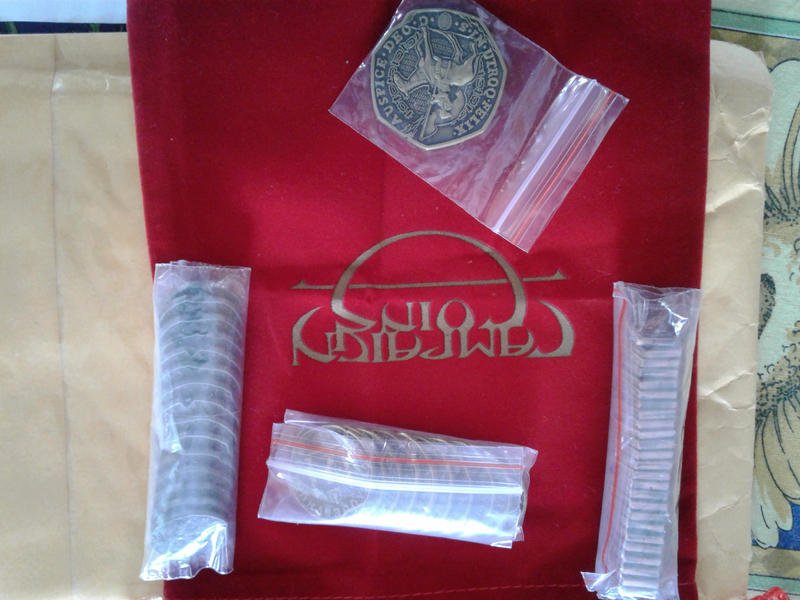 Late thank you to Khoofan for my pile o' loot! Nicely individually wrapped and was an early gift. 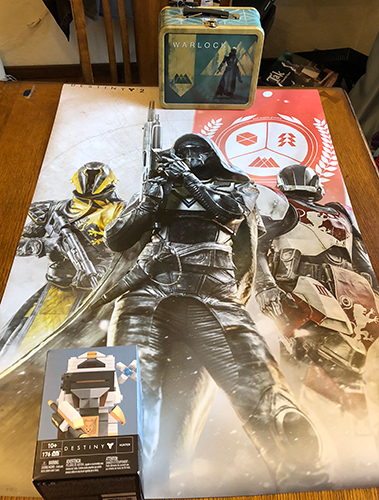 The print out of your forum post was a nice touch lol. The holidays were tough for my family, my apologies for dropping off the face of the Earth. I do not see the hidden gift in the picture - did you find it ? 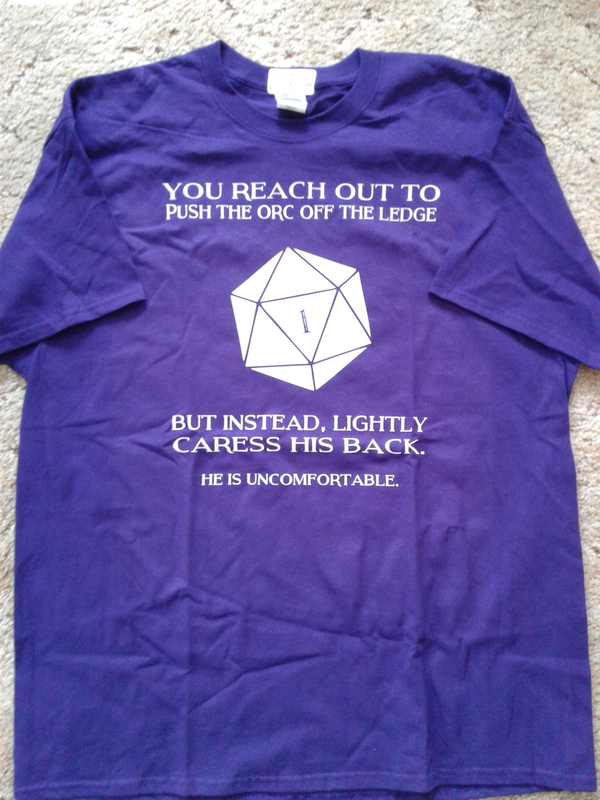 @GreyhoundAggie nailed my Secret Santa gift. 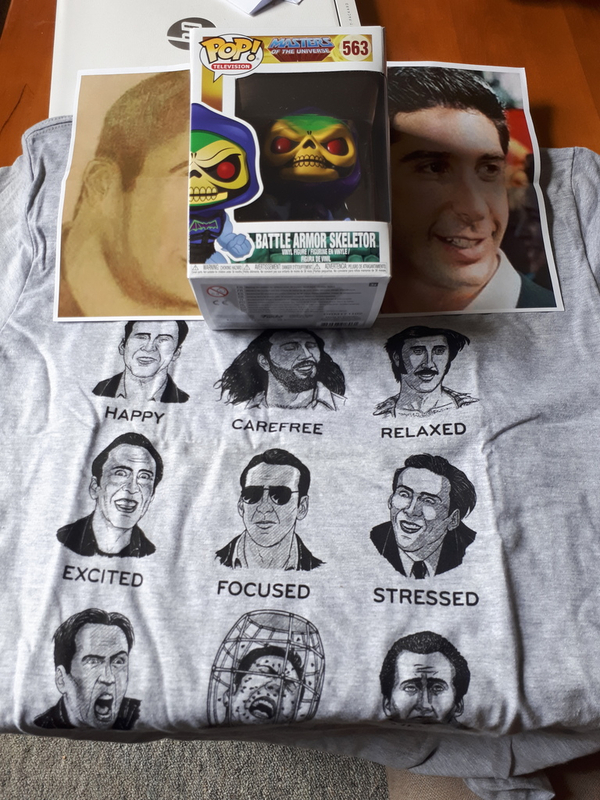 That's a Nicolas Cage T shirt, a battle armour Skeletor pop vinyl, and a picture of David Schwimmer as per my special instructions. Good work sir.